Gas appliances can break down at any time and usually when you least expect it. Our engineers will be happy to call out on an agreed visit to assess the problem and discuss the solution with you. If we can repair the faults there and then we will do so, if parts are required our engineer will advise you of the cost and a further visit may be required. If you prefer, we can also offer a contract service plan, where our engineer will call out as a priority to any breakdowns of your boiler and system throughout the year for a monthly fee. 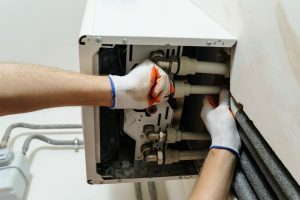 Parts and labour are included in this fee, as well as an annual boiler service. For more details see our “Contract” page or contact us for further information, we’re happy to help. If you’d like to discuss any repair work please don’t hesitate to contact us.